Clear across the country in Vermont, the largest company is Keurig Green Mountain, the brand behind the disposable K-cup coffee brewers that grace the countertops of an estimated 20 million American households. The company, which launched its famous single-serve brewing systems in 1998, took in $4.7 billion in revenue last year, much to the ire of environmentalists everywhere. What is the top company by revenue in your home state for this fiscal year? 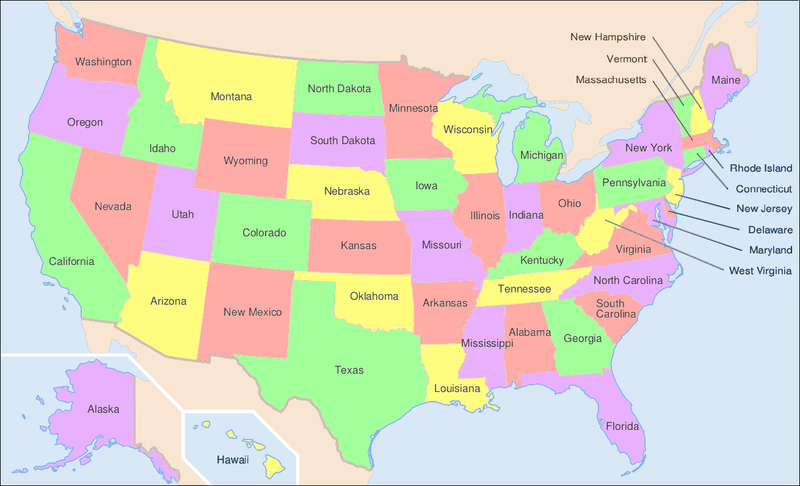 Find out on the U.S. map infographic below. The quick-reference visualization was created by Broadview Networks, a Rye Brook, New York-based voice, data and Internet cloud services provider. 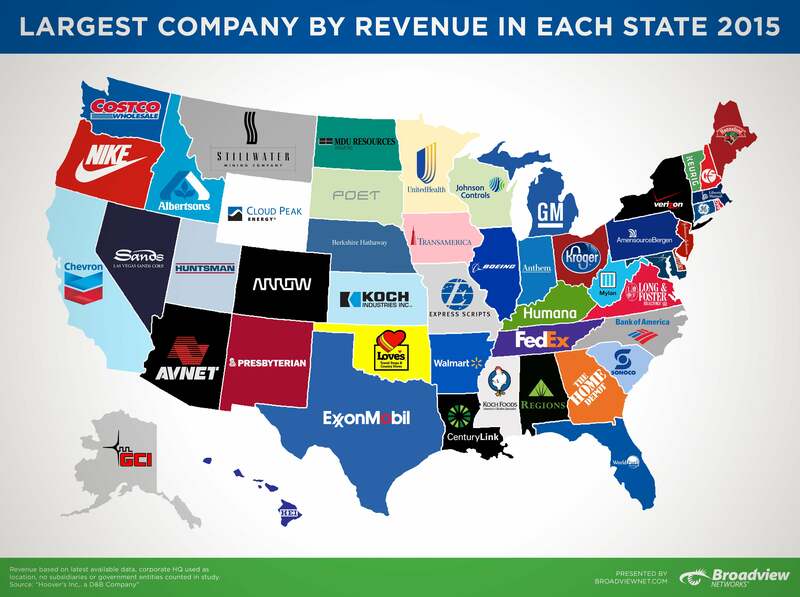 For a look back at which companies were at the top of the heap in all 50 states last year, check the U.S. map Broadview created last year. Can you spot the handful of differences?